Are you looking for a special present, that vintage piece of furniture or the coolest shirt? At "We love this city" concept store you can find it all! 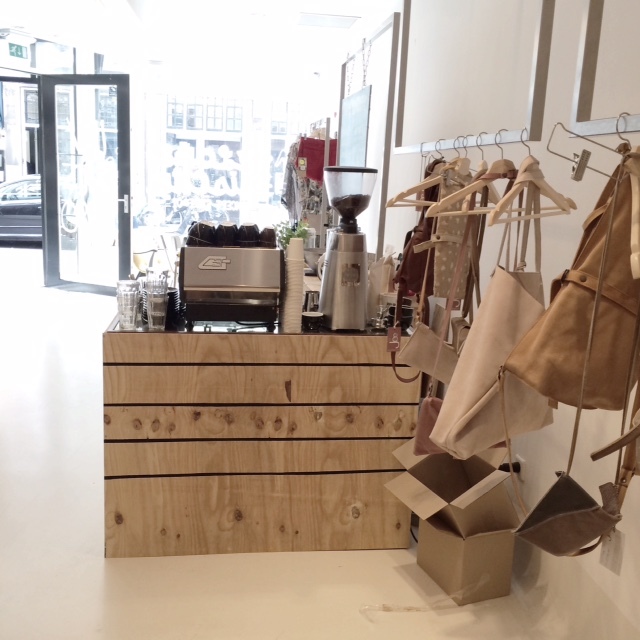 This inspiring spot opened it's doors in May, just around the corner near the Noordeinde Palace, The Hague. Here you can find handmade bags by Willemijn van Dijk, beautiful jewelry and printed shirts with cool lyrics by Cotton Candies. They will welcome you with the smell of best coffee and homemade carrot cake...Bet you will not leave empty-handed?! Some days ago I came to this old side table at the thrift shop; it was love at first site! 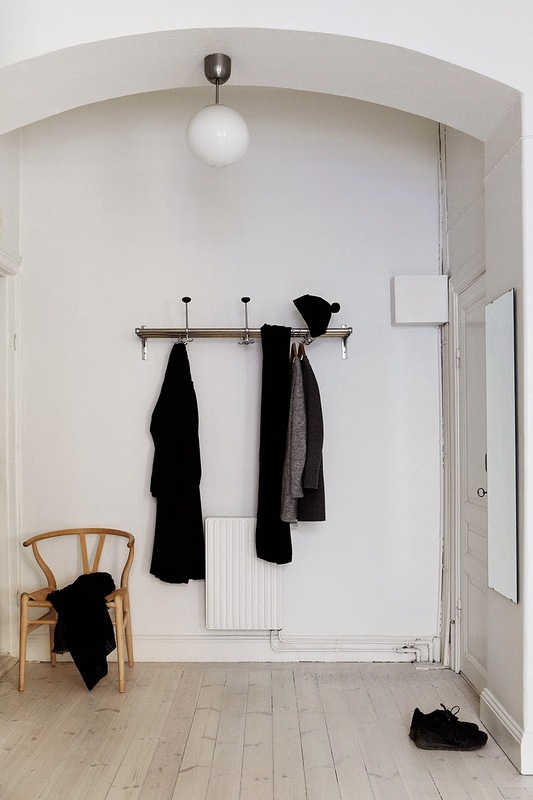 I'm not sure if it suits our home with Scandinavian influences, but I love the contrast between old and new. 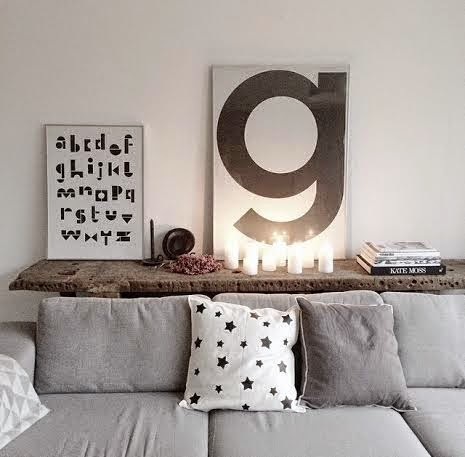 I have styled it here with a new poster from Plytype that I bought some weeks ago at the inspiring First or Second Store. Some candles to come in X-Mass mood. I'm gonna leave it for some time. What do you think? 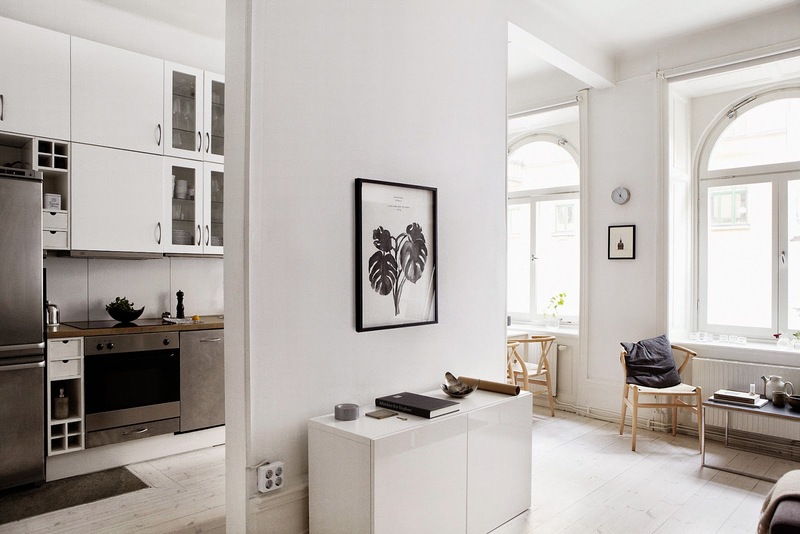 This beautiful home is for sale in Stockholm via Fantastic Frank. 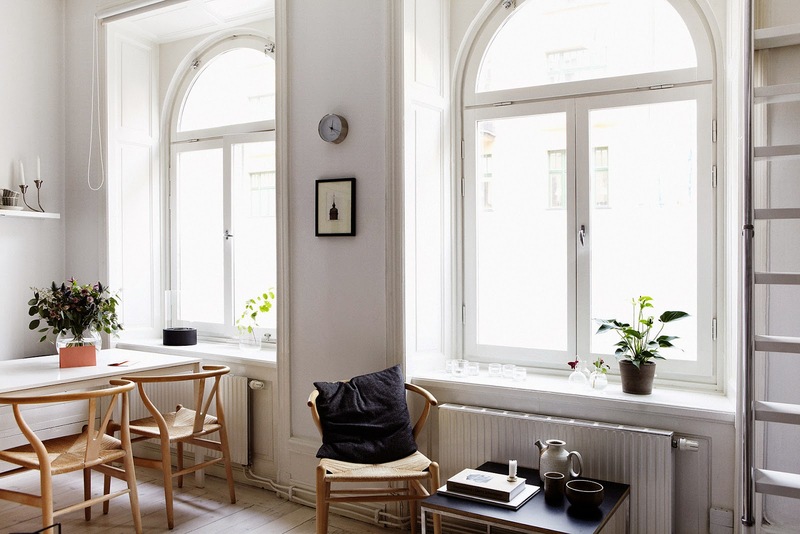 I love the windows, high ceiling, and the light wooden floor. 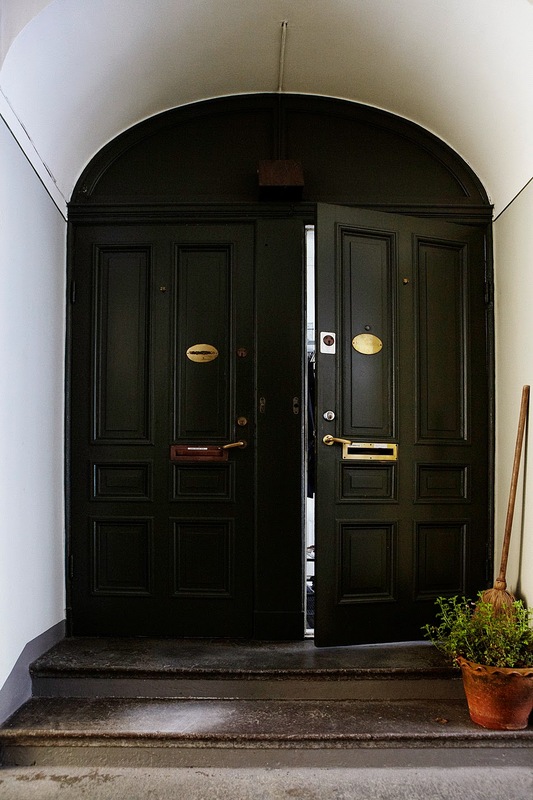 And that front door....I can see myself enter through this one! This is my week on Instagram. Wish you all a happy Sunday and the beginning of a new week! 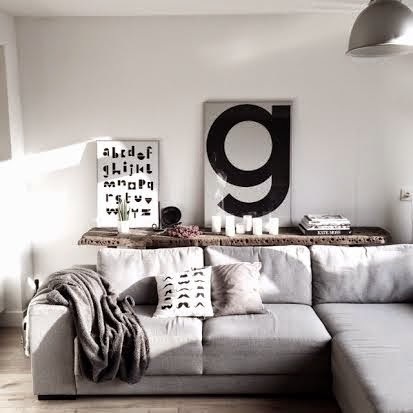 Today I wanna share with you some bedroom love. 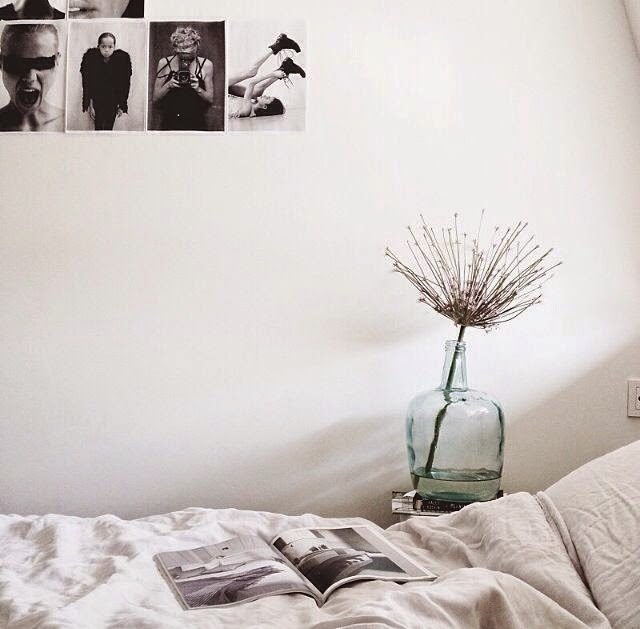 A bedroom for me is a spot to come to after a busy day. Here I can relax the most and escape the every day madness. That's why I don't like to much color and mess around me. 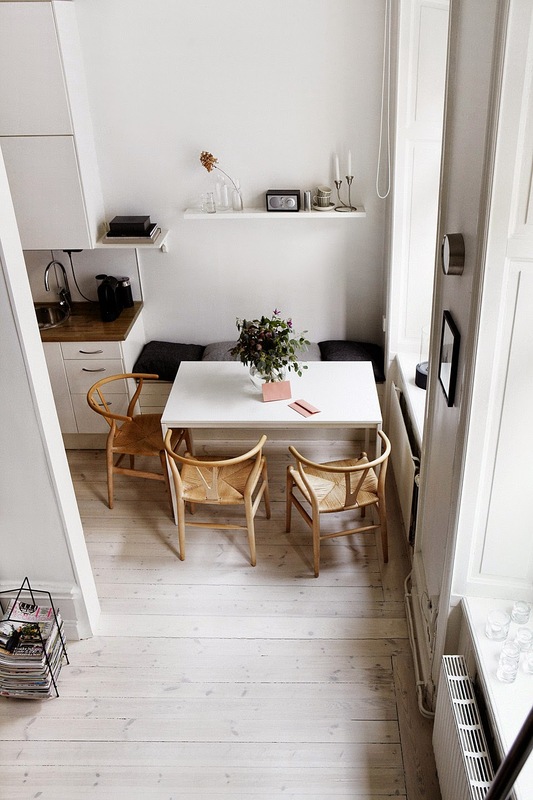 A transparent, white and airy space is the keyword. 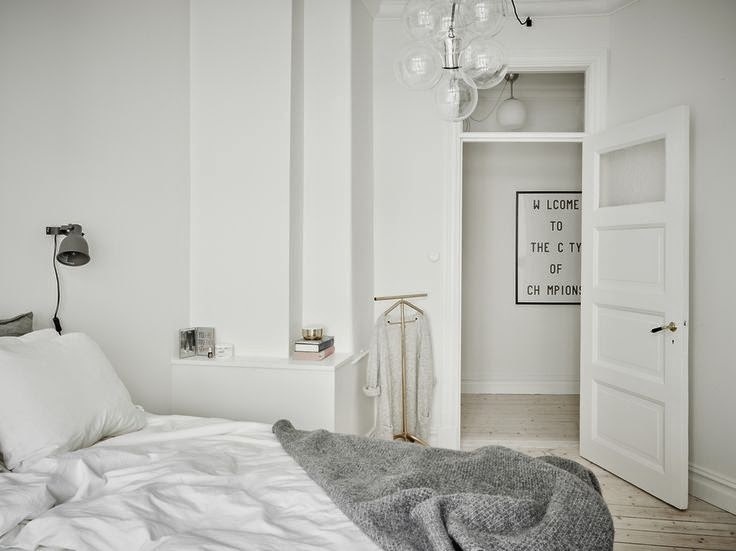 Whit white, crisp and linen sheets. Not to forget some flowers on my bedside table; or just one. Pic one is one of my favorites and the last pic is my own bedroom. 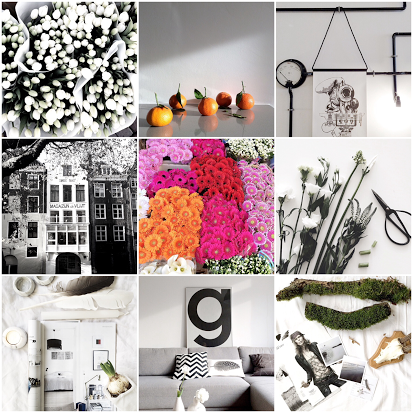 All pics via my Pinterest.